Shahid and Priyanka spotted at Melbourne Cricket Ground! The team of Teri Meri Kahaani is on a promotional spree these days. After promoting their film in Singapore at the IIFA Awards, the cast of Teri Meri Kahaani is now in Australia for promotions. Shahid Kapoor and Priyanka Chopra along with director Kunal Kohli left for Melbourne as soon as they got done with IIFA. The team is there just for day. 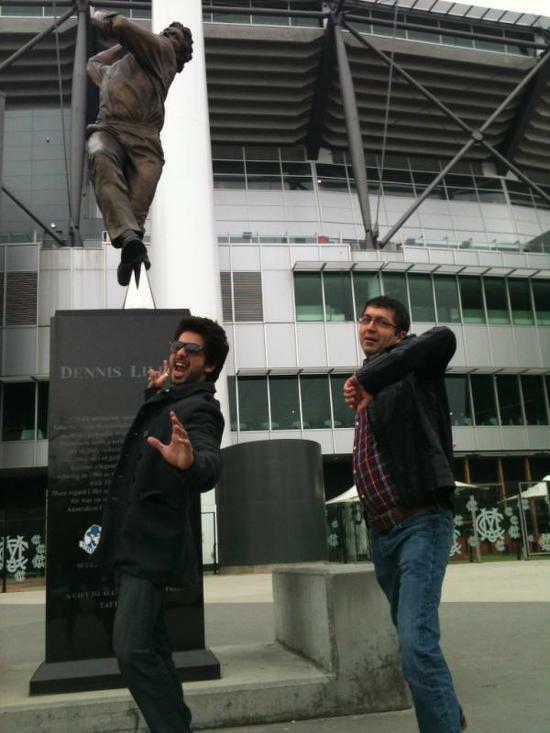 Shahid Kapoor and Priyanka Chopra were clicked at the famous Melbourne Cricket Stadium (MCG) holding rugby balls! Teri Meri Kahaani stars Shahid and Priyanka in lead roles and will release on 22nd June. Have a look at the pictures of the Teri Meri Kahaani team at the MCG.